to reflect the fact that the employer’s business has moved on. However, varying employment contracts can be problematic, particularly in the face of opposition from employees. 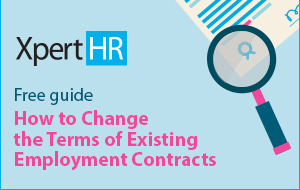 This XpertHR “how to” guide explores how employers can achieve their goal of changing employees’ terms and conditions of employment while minimising legal risk.